I really love the idea of a foundation palette just because my skin changes depending on the season and the concealers that look just right in winter look like giant white circles under my eyes come summer. I agree. 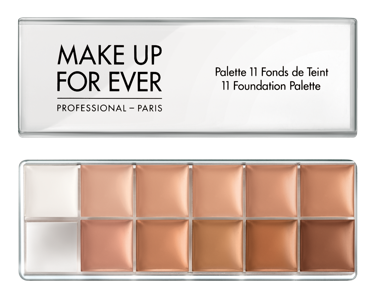 This palette is so easy to use. You can even use the empty tray for custom blending a shade! Try adding some mist and fix, or a finishing spray to help thin out and blend the custom foundations easier! Thanks again for reading! Stop by again for updates! Great Post! I am a new BBlogger and would love for you to check out my blog! and let me know what you think!!! Hi yourbeautystars! Thanks for checking out my blog! Make sure to check back often for updates! I’ll be sure to leave so comments on yours!